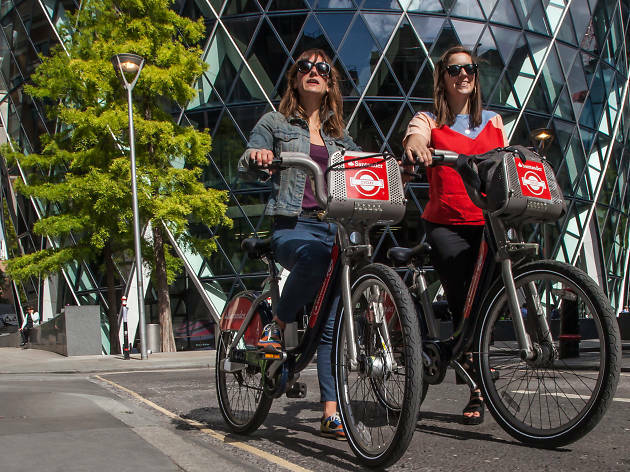 London's cycle hire scheme offers 10,000 specially designed bikes that can be hired from over 700 docking stations across the city. After an initial fee, the first half-hour is free. Charges then start at £2 for up to an hour, going up to a maximum usage fee of £50 for 24 hours. 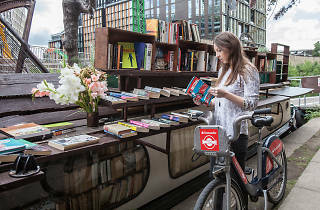 However, as there are so many docking stations from which you can pick up your bike, then drop it off once your journey is over, the scheme is more suited to shorter commuting, sightseeing and getting around town journeys. There are maps at each docking station to help riders pinpoint their location and continue with their journeys. If you sign up as a London Cycle Hire Scheme member (from £2 for 24-hour to £90 for annual membership), you get a key (£3), which gives easier access to the bikes. The Transport for London website has a journey planner tool which suggests routes for your specified destinations. Santander Cycles accepts all major credit or debit cards but does not accept cash or oyster cards. 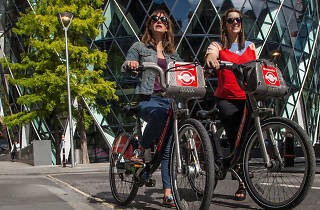 Whether you're a sight-seeing tourist/local or just trying to get yourself from a to b avoiding the tube, the formally nicknamed 'Boris Bikes' will not fail to disappoint. The bikes have adjustable seats to make your ride a little more comfortable - the plinths situated next to each set of bike racks are simple to use including an option to search for spaces at nearby cycle racks if there is limited space where you are. The scheme is £2 for a full day providing you keep all of your journeys under 30 minutes. 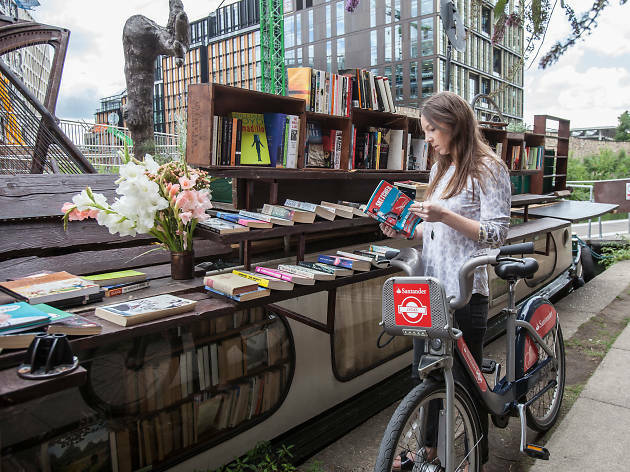 We used the bikes to dart between the Duck and Waffle, Columbia Rd Flower Market and a number of pubs one Sunday. A lovely way to see the city and practical too! I hired these bikes with my niece in a recent trip to London. It worked out a lot more cost effective than a 1 day bike hire cost. The bikes are bit heavy but loads of places you can park them up and store away and you only pay whilst you are using the bikes. Means you dont need to lock up your bikes and get to visit loads of different places. Who doesn't love a Boris bike?! Or, as their official title goes, Santander Cycle Hire. Dotted about all over London these bikes are super cheap to hire (£2 for 24 hours, free up to 30 minutes use, and an extra £2 per half hour after), and you can leave them at any station of your choosing. They are nice and sturdy, with 3 gears and a handy section on top to strap your bag. The bikes themselves are nice to ride, and the perfect thing to do in London's parks, or roads if you're more adventurous. For regular users you can get a key fob so there's no need to go through the same safety instructions each time, and there are annual subscriptions too if you use them a lot. I used the equivalent Velib scheme in Paris and am very glad these have been introduced in London.